Celebrated on the 15th day of the first Chinese lunar month, the Lantern Festival traditionally marks the end of the Chinese New Year (Spring Festival) period. It&apos;s Tuesday, February 19 in 2019. People will go out to look at the moon, send up flying lanterns, fly bright drones, have a meal, and enjoy time together with family and friends in parks and natural areas. Celebrations: enjoying lanterns, lantern riddles, eating tangyuan a.k.a. yuanxiao (ball dumplings in soup), lion dances, dragon dances, etc. The Lantern Festival is on the 15th day of the first Chinese lunar month (always between February 5 and March 7). The Lantern Festival is the last day (traditionally) of China&apos;s most important festival, Spring Festival (春节 Chūnjié /chwn-jyeah/ a.k.a. the Chinese New Year festival). 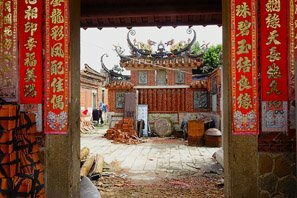 After the Lantern Festival, Chinese New Year taboos are no longer in effect, and all New Year decorations are taken down. 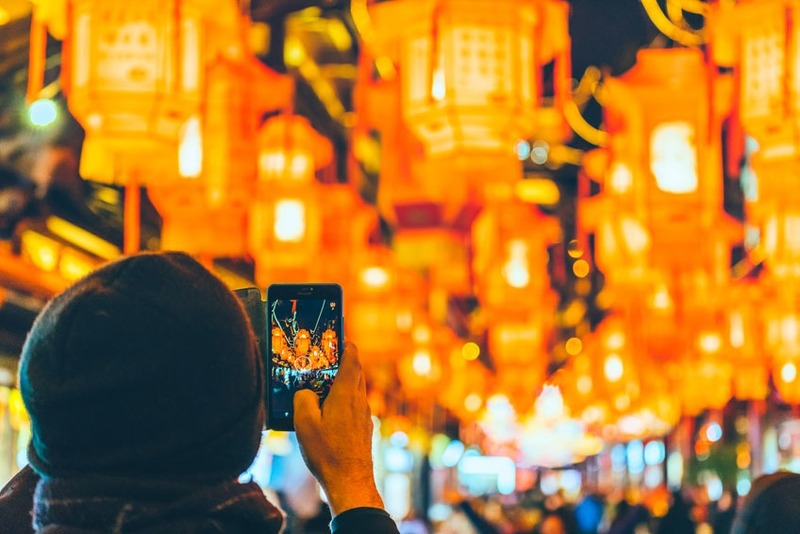 The Lantern Festival is also the first full moon night in the Chinese calendar, marking the return of spring and symbolizing the reunion of family. However, most people cannot celebrate it with their families at a family reunion because there is no public holiday for this festival so long-distance travel isn&apos;t feasible. 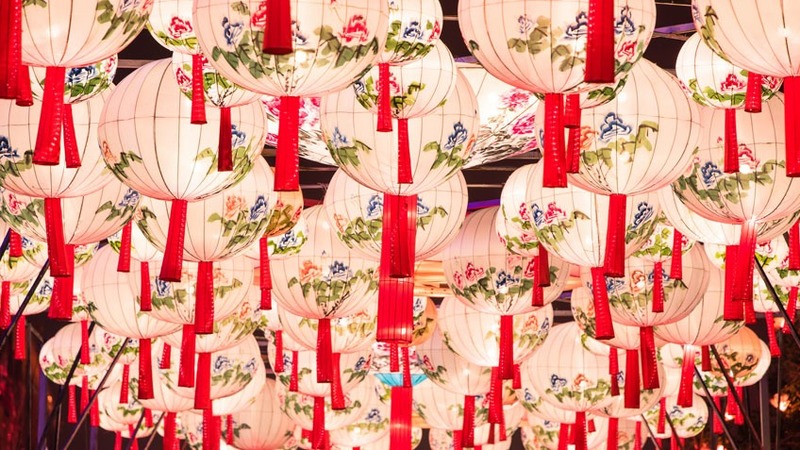 The Lantern Festival can be traced back to 2,000 years ago. In the beginning of the Eastern Han Dynasty (25–220), Emperor Hanmingdi was an advocate of Buddhism. He heard that some monks lit lanterns in the temples to show respect to Buddha on the fifteenth day of the first lunar month. Therefore, he ordered that all the temples, households, and royal palaces should light lanterns on that evening. This Buddhist custom gradually became a grand festival among the people. How Do Chinese Celebrate the Lantern Festival? According to China&apos;s various folk customs, people get together on the night of the Lantern Festival to celebrate with different activities. As China is a vast country with a long history and diverse cultures, Lantern Festival customs and activities vary regionally including lighting and enjoying (floating, fixed, held, and flying) lanterns, appreciating the bright full moon, setting off fireworks, flying drones, guessing riddles written on lanterns, eating tangyuan, lion dances, dragon dances, and walking on stilts. 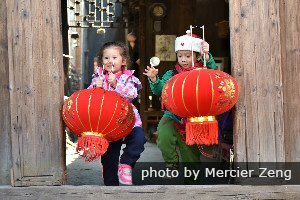 The most important and prevalent customs are enjoying lanterns, guessing lantern riddles, eating tangyuan, and lion dances. Lighting and appreciating lanterns is the main activity of the festival. 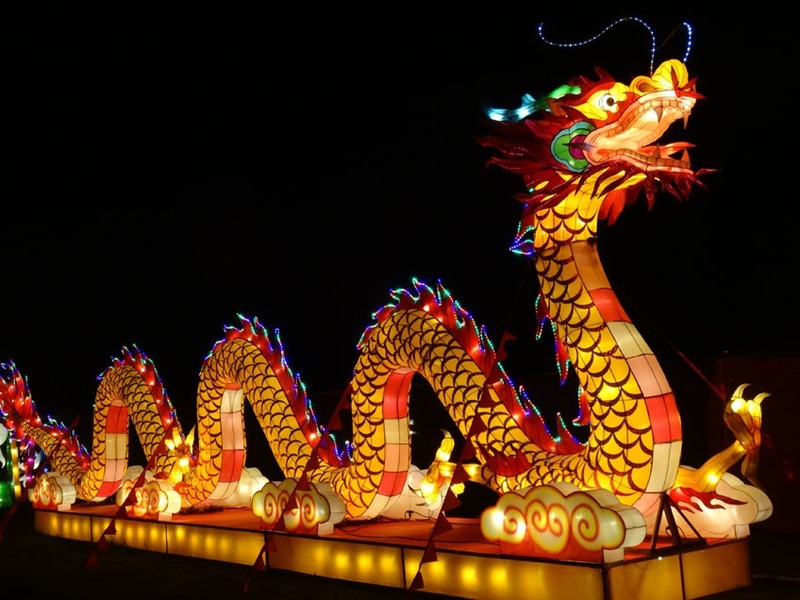 When the festival comes, lanterns of various shapes and sizes (traditional globes, fish, dragons, goats! — up to stories high!) are seen everywhere including households, shopping malls, parks, and streets, attracting numerous viewers. Children may hold small lanterns while walking the streets. The lanterns&apos; artwork vividly demonstrates traditional Chinese images and symbols such as fruits, flowers, birds, animals, people, and buildings. In the Taiwanese dialect, the Chinese word for lantern (灯 dēng) is pronounced similarly to (丁 dīng), which means &apos;a new-born baby boy&apos;. Therefore lighting lanterns there means illuminating the future and giving birth. Lighting lanterns is a way for people to pray that they will have smooth futures and express their best wishes for their families. Women who want to be pregnant would walk under a hanging lantern praying for a child. Read more about Chinese lanterns. 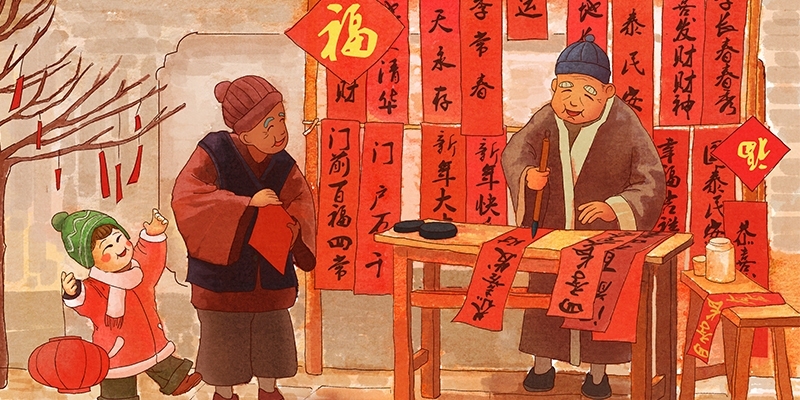 Lantern owners write riddles on paper notes and pasted them upon the colorful lanterns. People crowd round to guess the riddles.Guessing (solving) lantern riddles, starting in the Song Dynasty (960–1279), is one of the most important and popular activities of the Lantern Festival. If someone thinks they have the right answer, they can pull the riddle off and go to the lantern owner to check their answer. If the answer is right, there is usually a small gift as a prize. As riddle guessing is interesting and informative, it has become popular among all social strata. The lion dance is one of the most outstanding traditional folk dances in China. It can be dated back to the Three Kingdoms Period (220–280). Ancient people regarded the lion as a symbol of bravery and strength, and thought that it could drive away evil and protect people and their livestock. Therefore, lion dances are performed at important events, especially the Lantern Festival, to ward off evil and pray for good fortune and safety. The lion dance requires two highly-trained performers in a lion suit. One acts as the head and forelegs, and the other the back and rear legs. Under the guidance of a choreographer, the "lion" dances to the beat of a drum, gong, and cymbals. Sometimes they jump, roll, and do difficult acts such as walking on stilts. In one lion dance, the "lion" moves from place to place looking for some green vegetables, in which red envelopes with money inside are hidden. The acting is very amusing and spectators enjoy it very much. Nowadays, the lion dance has spread to many other countries with overseas Chinese, and it is quite popular in countries like Malaysia and Singapore. 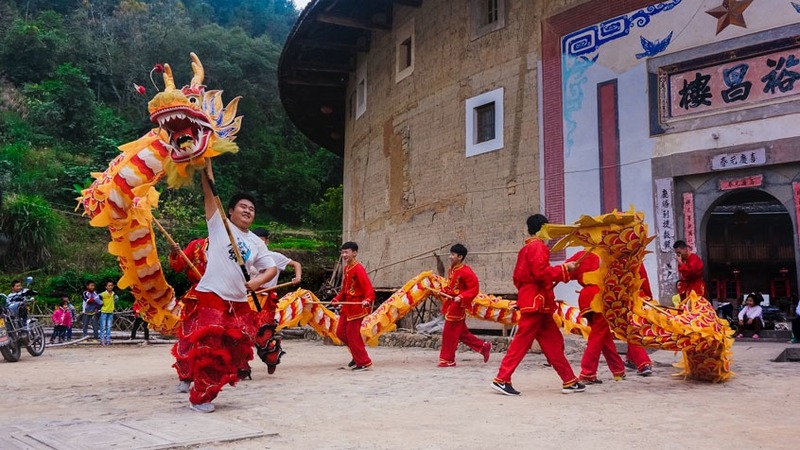 In many Chinese communities of Europe and America, Chinese people use lion dances or dragon dances to celebrate every Spring Festival and other important events. Read more on Chinese New Year Lion Dances. Eating tangyuan is an important custom of the Lantern Festival. Tangyuan (汤圆 tāngyuán /tung-ywen/ &apos;soup round&apos;) are also called yuanxiao when eaten for the Lantern Festival. These ball-shaped dumplings are made of glutinous rice flour and are stuffed with different fillings such as white sugar, brown sugar, sesame seeds, peanuts, walnuts, rose petals, bean paste, and jujube paste or a combination of ingredients. They are usually sweet. 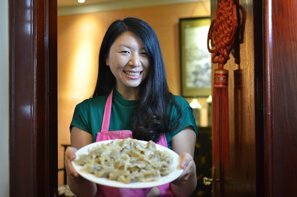 Yuanxiao can be boiled, fried, or steamed, and are customarily served in fermented rice soup, called tianjiu (甜酒 tián jiǔ /tyen-jyoh/ &apos;sweet liquor&apos;). 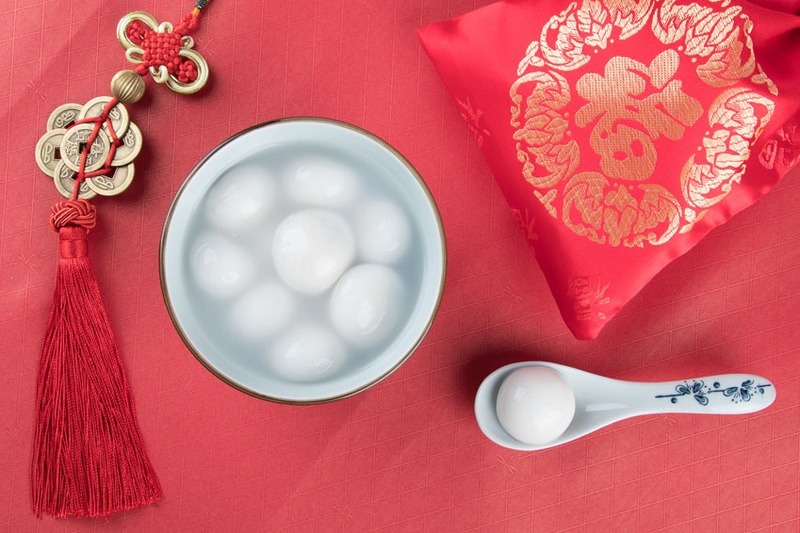 As tangyuan is pronounced similarly to tuanyuan (团圆 /twan-ywen/ &apos;group round&apos;), which means the whole family gathering together happily, Chinese people believe that the round shape of the balls and their bowls symbolize wholeness and togetherness. 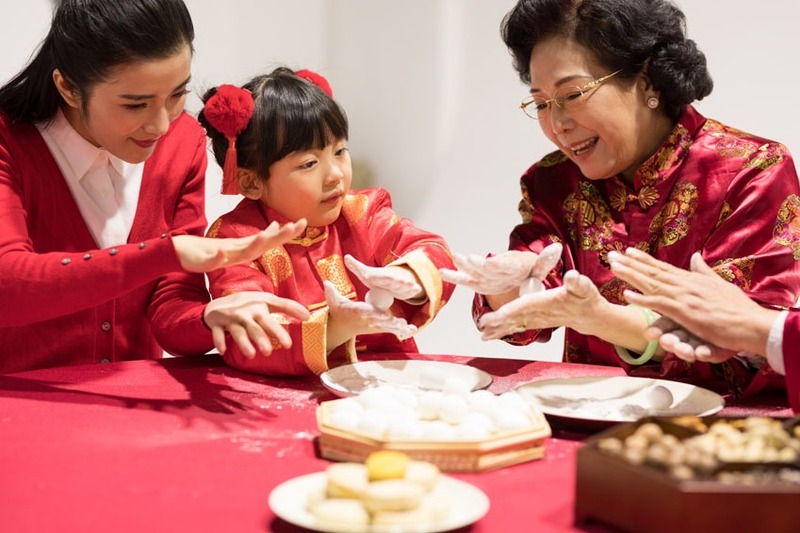 Therefore, eating tangyuan on the Lantern Festival is a way for Chinese people to express their best wishes for their family and their future lives. It is believed that the custom of eating tangyuan originated during the Song Dynasty, and became popular during the Ming (1368–1644) and Qing (1644–1911) periods. See more on Chinese Desserts. Where Is Best To See Lanterns in China? 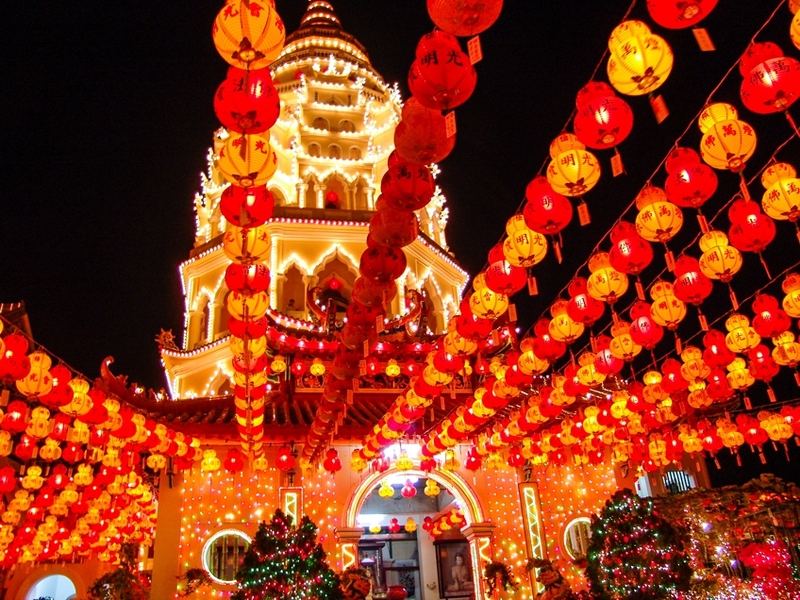 During the Lantern Festival, many lantern fairs are held in China. 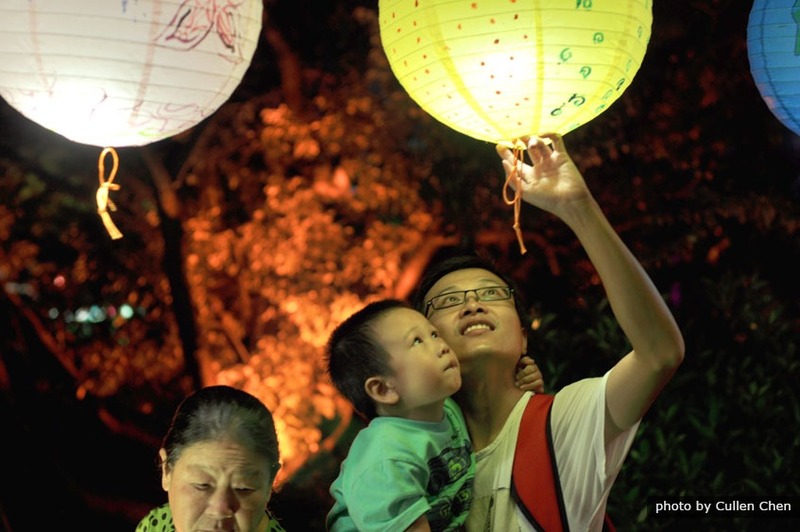 These offer tourists chances to experience Lantern Festival celebrations in public places. Here we recommend five top places for you to appreciate spectacular and colorful lanterns and performances. Qinhuai International Lantern Festival (the biggest in China!) 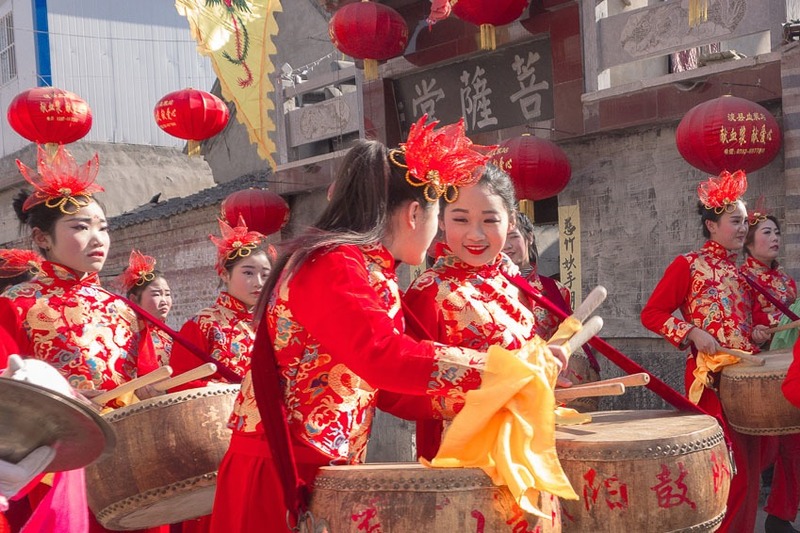 is estimated from January 29 to March 31, 2019, at Confucius Temple, Qinhuai Scenic Zone, Nanjing. 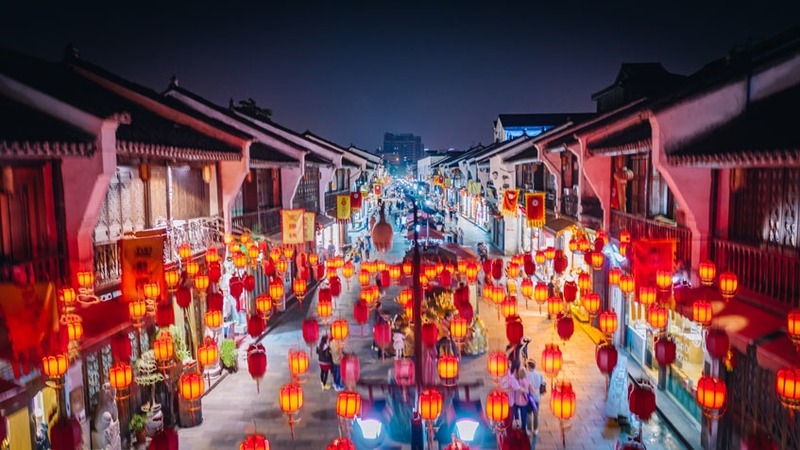 Shanghai Yuyuan Lantern Festival is from the end of Jan to the end of Feb.
Guangzhou Yuexiu Park Lantern Fair is from Jan 25 to Feb 24, 2019. Yuexiu Park in Guangzhou (entry is free). Transportation During Chinese New Year is difficult because people travel to be with family and friends and go out in the evening to lantern displays and parks. Many people are also still traveling back to work or school after the end of the official Spring Festival vacation days. Travel tickets are difficult to get. Accommodation may be more expensive. Contact us and we can help you avoid the hassles and have a China experience that includes the best of the Lantern Festival. Imperial and Scenic China Family Tour — In the Spring Festival season, you can enjoy amazing Beijing, Guilin, and Hong Kong.